You can choose up to 5 colours. Please indicate below. This mini set of flowers works for birthday parties, weddings, baby nurseries, home and living, and special events. 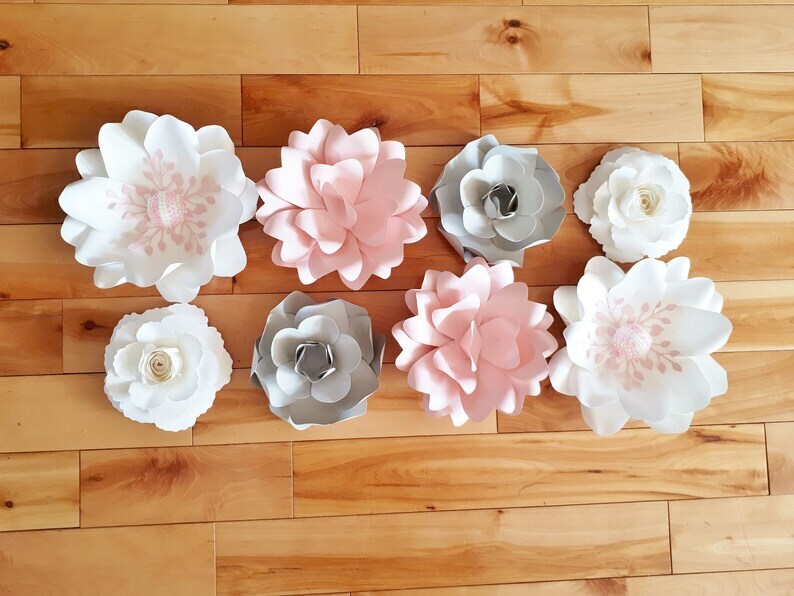 Use as centrepieces or attach them to the wall to create a backdrop. Also perfect for accent pieces. Flowers come completed. Custom orders are always welcome.